Congratulations to Chick History Secretary Sanjana Ballal! Last night, July 30th, young community leaders in fields ranging from health care and banking to technology and the arts were honored at the Nashville Area Chamber of Commerce and YP Nashville’s annual Nashville Emerging Leader Awards (NELA) at Lipscomb University. 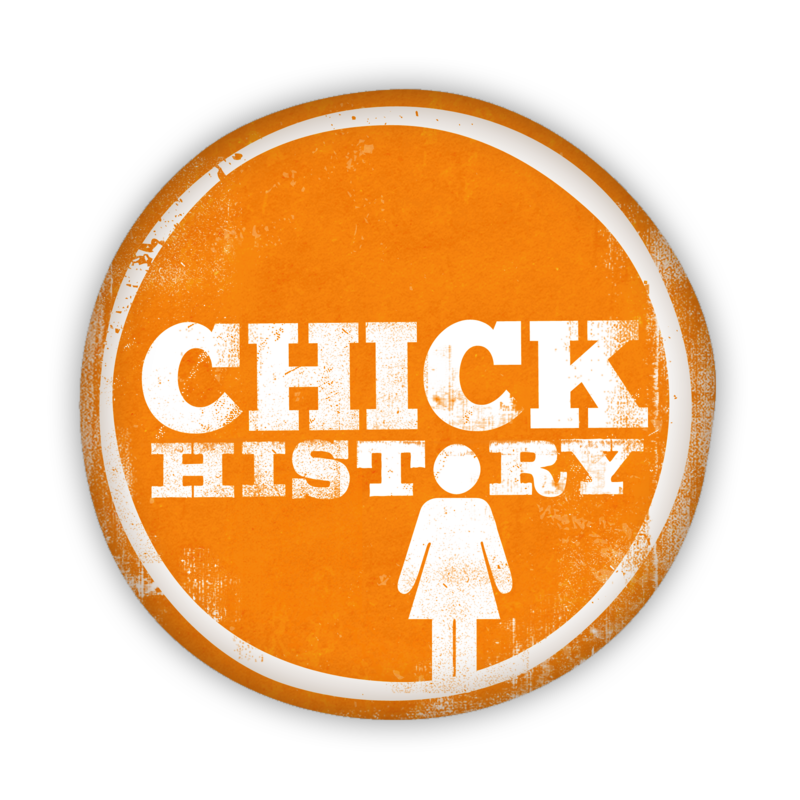 Among the winners was Chick History’s Secretary, Sanjana Ballal. After the awards ceremony, Sanjana was interviewed by Knight Stivender, General Manager of 12th & Broad, and also Chick History’s Vice-President. Check out the clip. Sanjana is the Dean of Culture at Cameron College Prep. As the dean of culture at Cameron College Prep, Sanjana Ballal facilitates school-wide positive behavior systems, coaches teachers on strong classroom culture and assists parents to help engage with and support their children’s education. She redesigned her school’s discipline system to be a restorative system, rather than punitive, changes which resulted in a decrease from 40 percent of students involved in the disciplinary system to 15 percent. 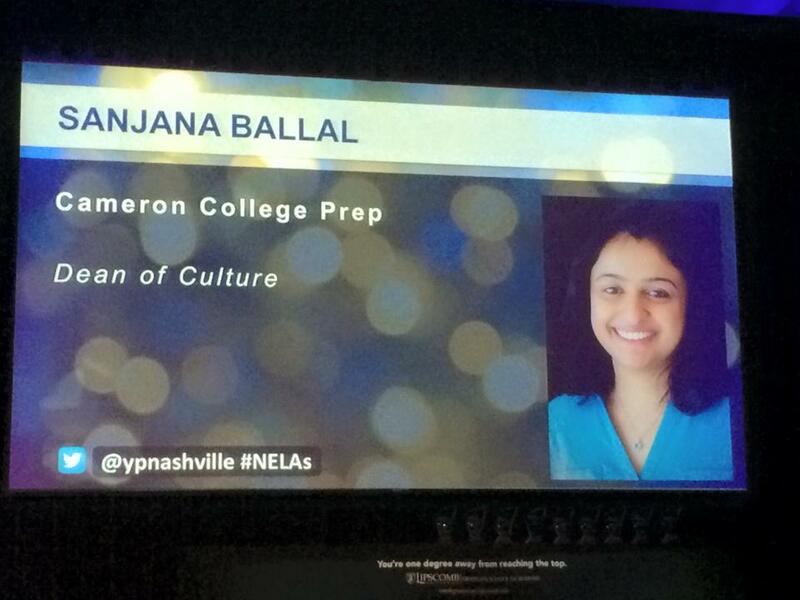 Ballal is a member of the 2015 class of Nashville Emerging Leaders. She is an alumna of Teach for America, having served in 2007 in New Orleans, and remains active through alumni events, panels and mentoring new members. She volunteers as a board member with the Davidson County Juvenile Court’s Foster Care Review Board and is an active member in Bunts Association of North America. The NELAs recognize Nashville’s young professionals for significant accomplishments in their chosen career fields, as well as their commitment and contribution to the community. The NELA program is designed to salute and applaud Middle Tennessee’s young professionals under the age of 40 for significant accomplishments in their chosen professional field, as well as their commitment and contribution to the community. By celebrating achievement and excellence, the NELAs seek to recognize and honor Nashville-area young professionals. NELAs are given in 15 industry categories, and one Impact Award is given to someone who has displayed outstanding leadership towards the YP demographic.